❖ Service Managers: Mechanical Engineering Degree prefered. Minimum to 15 years of experience of all types of HVAC Systems, AC & Refrigeration Installation, Service, Maintenance & Troubleshooting. 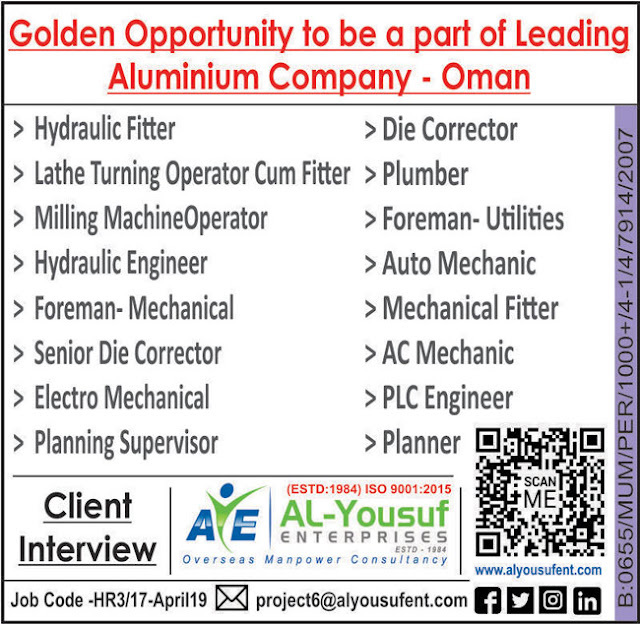 ❖ Project Engineers: Engineering Degree /Diploma with minimum 2 to 5 years of experience in HVAC systems, window AC, Domestic SC sales & Installation. ❖ Site Engineers: Engineering Degree/Diploma with minimum 2 to 3 years experience in DX Units, Chiller, Piping & Ducting, Autocad Reading & Drawing. ❖ Service Engineers: Mechanical / AC Engineering Degree / Diploma with minimum 5 to 10 years experience in HVAC systems, AC & Refrigeration equipment, service & maintenance. ❖ Service Supervisor: Diploma in Mechanical engineering with minimum 3 to 8 years in HVAC installation, service & maintenance. 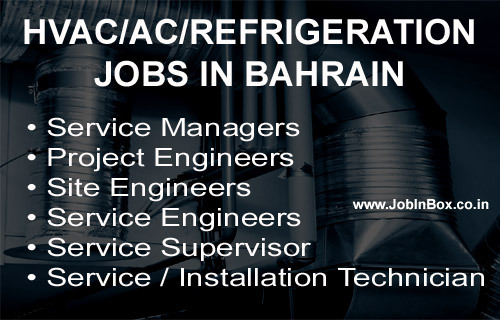 ❖ Service / Installation Technician: ITI/Diploma with minimum 4 to 5 years experience in Window, split, Central Air Conditioning systems and Freezers.